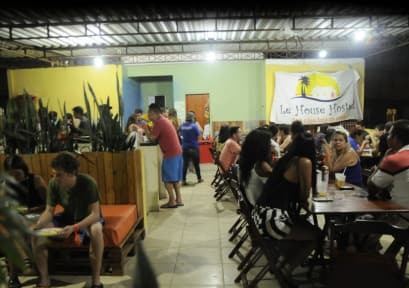 With a relaxed atmosphere and comfortable facilities, Le House Hostel is waiting for you only a few blocks away from the beach and a very short walking distance from Copacabana, on a hill where you will enjoy a wonderful view of Rio. Our tri-lingual receptionists will give you valuable tips on parties and tours in town. You can find pretty much everything near by. A one and only opportunity to get to know the Cidade Maravilhosa without spending much!